2013 was a very good year for the U.S. stock market. The S&P 500 was up 29.5 percent, the Nasdaq Composite was up 38.2 percent, and the DJIA was up 26 percent. Additionally, all 10 of the S&P sector indices were up for the year. Let's hope that 2014 brings this type of stock market performance. In early 2013, Bloomberg surveyed analysts about the year-end gold price. The median response was $1,815 per ounce. The actual ending price? About $1,200 per ounce. Although the article's author puts much of the blame for the wildly overestimated gold price on politics, we have a simpler explanation: Price predictions for any commodity or financial instrument are extremely difficult and are often incorrect, especially in the short-term. Of course, if this were not the case, the argument for market efficiency would be much weaker. Much has been made of U.S. corporate cash balance, which reached $1.925 trillion in December 2013. However, Japanese companies have a larger cash balance at 224 trillion yen ($2.15 trillion). The large cash holdings by Japanese companies is attributed to a 15-year deflationary period. Prime Minister Shinzo Abe is encouraging companies to raise wages faster than the cost of living to help end deflation in Japan. From January 1, 2013, the U.S. Treasury bond index tracked by Bloomberg fell 11 percent, the worst performance of the 144 bond indices tracked by Bloomberg. Of course, the cause is the rise in U.S. interest rates. While the performance of U.S. Treasuries is poor, the increase in interest rates is in part due to better performance in the U.S. economy, which is a positive. Standard and Poor's announced that more than $3 trillion in corporate bonds were issued worldwide from January through November this year. S&P projects that the total junk bond issuance for 2013 will be more than $500 billion worldwide, which would be a record. Junk bond issuance has likely been aided by the currently low default rates. From November 2012 to October 2013, only 2.2 percent of junk bonds defaulted, a drop from 2012's 2.5 percent default rate. A recent article in CFO argues that companies should consider hedging currency risk in 2014. The reason for the increased need for hedging is a possible volatile year in currencies. For the past several years, monetary policies across the globe were in relative synch, with growth a key goal. In the U.S., quantitative easing may be coming to an end, while policies in other countries such as the euro area and Japan are expected to remain relatively unchanged. This divergence in economic policies could lead to more volatility in exchange rates during 2014. During the first six months of 2013, a relatively stable exchange rate regime, U.S. companies lost about $7.7 billion due to currency fluctuations. You are aware that there are many stock market indices. The Wilshire 5000, which was started in 1974, is designed to include the return of every stock in the market and is so named because there were originally about 5,000 stocks in the index. However, over the years, stocks have been added and subtracted from the index. So, would it surprise you that the index currently tracks only about 3,600 stocks? The reason is that the number of U.S. stocks has shrunk in recent years, from a high of about 8,800 in 1997 to around 4,900 at the end of 2012. Numerous causes have likely contributed to the reduction, including failed companies, an increase in mergers and acquisitions, and a decrease in the number of IPOs. Johnson & Johnson announced that it would sell $3.25 billion in bonds. The proceeds will be used to repay existing debt. Johnson & Johnson is one of four AAA credit rated nonfinancial companies in the United States. The other three AAA rated companies are Microsoft, Exxon Mobil, and Automatic Data Processing. A judge ruled that Detroit can proceed with its bankruptcy, a ruling allows the largest municipal bankruptcy in U.S. history to go forward. And while we don't want to discuss many of the decisions that led to bankruptcy, Detroit's general pension board certainly didn't help. One of the key tenets of finance is that risk are return are related. Detroit had an annuity plan that allowed city employees to contribute as much as 7 percent of their pay and receive a guaranteed annual return of 7.9 percent, a guarantee we would love to receive ourselves! And in 2002 and 2007, the total return paid in these accounts was 21.4 percent and 22.9 percent, respectively. To fund the return, the pension managers took money from the general retirement funds used for pensions to pay the 7.9 percent return, even in 2009 when the annuity account lost 24 percent. In all, the payments from the pension plan cost about $1.9 billion. Central banks are in a "race to the bottom", or an effort to lower the domestic currency to improve economic performance. The European Central Bank (ECB) may soon see exactly how low it can go by implementing negative interest rates. When a commercial bank makes a deposit with a central bank, the central bank pays the commercial bank interest on that deposit. The ECB is considering a negative interest rate on those deposits, which means the commercial bank would pay the ECB for all deposits. The result is that commercial banks will deposit fewer euros with the ECB and instead be forced to put those euros in circulation. This would likely lead to a euro devaluation. Coming back for his second appearance, our guest blogger this week is Dr. Harry DeAngelo, the Kenneth King Stonier Chair in Business Administration at the Marshall School of Business at USC. Dr. DeAngelo is a noted expert on payout policy, capital structure, and corporate governance. Here, Dr. DeAngelo discusses how transitory debt can affect the capital structure decision. For a more detailed analysis, you can read the entire paper "Capital Structure Dynamics and Capital Structure" here. Corporate capital structures generally show a remarkable degree of variation over time. One under-appreciated source of variation is the unique personal views about appropriate financial policies held by the people running a firm. There is scope for managers’ idiosyncratic preferences to have a significant influence on the debt-equity mix when taxes and financial distress costs have only a second-order impact on firm value over a reasonably wide range of leverage ratios. Coca-Cola’s dramatic shift in capital structure in the 1980s (detailed below) provides a useful illustration of how the idiosyncratic views of top management can radically reshape financial policy. The Coca-Cola case also highlights how debt can serve as a transitory vehicle for funding investment opportunities. For more on the latter view, see my previous post. Coca-Cola’s “levering up” of the 1980s: The appointment of Roberto Goizueta as CEO in 1980 marked a sharp shift in Coca-Cola’s financial policies toward more aggressive use of debt, including a willingness to borrow to make acquisitions (e.g., to acquire Columbia Pictures in 1982). The CEO’s letter to shareholders in the 1985 annual report spelled out the firm’s new financial principles: “In the financial arena, The Coca-Cola Company is pursuing a more aggressive policy. We are using greater financial leverage whenever strategic investment opportunities are available. We are reinvesting a larger portion of our earnings by increasing dividends at a lesser rate than earnings per share growth….And, we are continuing to repurchase our common shares when excess cash or debt capacity exceed near-term investment requirements.” In a 1984 interview, the firm’s CFO stated “We can go up to $1 billion without hurting our triple-A rating, and we would not hesitate to do so if something unusual comes along….” and “we will not hesitate to be a double-A company. I want to make that very clear.” The firm did, in fact, lose its triple-A rating because of its more aggressive use of debt. The Coca-Cola case study is from “How Stable Are Corporate Capital Structures?” by Harry DeAngelo and Richard Roll, which is forthcoming in the Journal of Finance. The case appears in the paper’s Internet Appendix, which also contains case studies of 23 other firms that, like Coca-Cola, were (i) in the Dow Jones Industrial Average at some point, and that were (ii) publicly held from before the Great Depression until at least 2000. While we don't often discuss an analyst's report, a recent report on Exxon caught our eye. One way to create a positive NPV project is to have economic moats. An economic moat can be a competitive advantage over others in the same industry, or barriers to entry. The article discusses several concepts that we think should interest you after what you have learned in this class so you can see how key concepts are applied in other areas of finance. For example, the article discusses Exxon's low cost of capital (Why would Exxon have a lower cost of capital than its competitors? ), as well as economic rents. You can think of economic rents as a positive NPV. The article also discusses Exxon's lower F&D (finding and development) costs in relation to its peers, as well as a lower cost structure, which is the application of ratio analysis. According to the 2013 AFP Electronic Payments Survey, about seven percent more companies are using electronic payments for business-to-business (B2B) payments than were using electronic payments four years ago. Overall, about 50 percent of companies use electronic payments of some sort for B2B payments. Surprisingly, more companies with sales under $1 billion use electronic payments than companies with sales over $1 billion. The increase in the number of electronic payment users may not reduce overall float since the electronic payment may be made later than it would be with a check, but "The check is in the mail." may no longer be a viable excuse for late payments. As we mentioned, synergies are an important concept in capital budgeting. Take the PS4. Based on a tear down price evaluation, Sony makes about $18 per unit, not including logistical costs, marketing, and other expenses. So how does Sony plan to make a profit on the PS4? Through licensing fees to outside game makers and their own software sales. And while the $18 profit may seem small, Sony actually lost about $300 on each PS3 system it sold. The Financial Accounting Standards Board (FASB) and the International Accounting Standards Board (IASB) have decided that leases should be reported on a company's balance sheet. The proposed new standard would require a company to report the present value of lease payments on the balance sheet as a long-term liability. Opponents argue that the change would increase debt-equity ratios and companies will scale back operations to reduce debt-equity ratios back to current levels. Another argument against the new rules is that the increased debt-equity ratio would mean that some companies will exceed the debt-equity ratio written into bond and loan covenants. From a financial perspective, the rule changes will have little or no impact as equity analysts have long treated lease payments as a form of debt. Of course, the change will also result in improved performance for these companies, at least to the untrained eye. Because the rule changes increase debt to balance the balance sheet, there will be a resulting drop in the book value of equity, thus increasing ROE. We have heard that the job of an equity analyst is to take what an accountant has produced and fix the mistakes. And while we know that you have been taught basic accounting principles, we should make you aware that there are problems using financial statements when analyzing a company. For example, revenue can be a distorted number. The 25 largest U.S.-based non-financial companies prepare an alternate income statement that they use with investors. A major change is separating revenue into recurring and nonrecurring items. Recurring items are those that regularly occur in the company's business operations. For example, if we are looking at Home Depot, sales of home remodeling supplies are a recurring item. Nonrecurring items are those that are unique and unlikely to be repeated, such as the one-time sale of an asset or an insurance settlement. If we use sales that include nonrecurring items, it will likely give us an incorrect estimate of the company's future sales. In the textbook, we use the term annuity to describe a periodic payment for a specified number of periods. In practice, annuities are often used as a retirement tool and are purchased from an insurance company. The insurance company will pay you periodic payments, either for a specified period, or until your death. If you want payments until your death, the insurance company calculates the number of payments based on your life expectancy. While you may outlive your life expectancy, the insurance company makes many such contracts and others annuitants will die before expected, reducing the risk to the insurance company. If you think annuities are rare, consider that Social Security payments are an inflation indexed annuity. We are not giving you any advice on annuities because there are many different types and the purchase of an annuity may not work with your goals. With a deferred annuity, you make a deposit today, which grows until the annuity payments begin. Payments on an immediate annuity begin immediately. There are fixed annuities that offer a guaranteed rate of return, while variable annuities allow investments in stocks or bonds. Additional options can include basing the payment on one life or multiple lives, guaranteeing the return of principal, and whether or not the payments increase at the inflation rate. The decision to buy an annuity can be complicated, but it becomes much easier if you understand time value of money concepts. 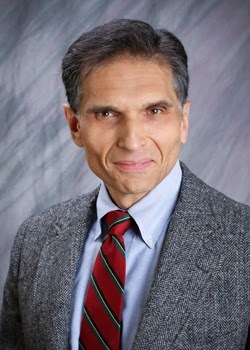 Our guest blogger this week is Dr. Harry DeAngelo, the Kenneth King Stonier Chair in Business Administration at the Marshall School of Business at USC. Dr. DeAngelo is a noted expert on payout policy, capital structure, and corporate governance. Here, Dr. DeAngelo discusses how transitory debt can affect the capital structure decision. For a more detailed analysis, you can read the entire paper "Capital Structure Dynamics and Capital Structure" here. According to the tradeoff theory of capital structure, firms select an optimal leverage ratio by balancing the tax advantages of debt against the potential costs of financial distress. For simplicity, consider a version of the tradeoff theory in which firms face a corporate tax rate of 35%. Interest payments are tax deductible, but dividend payments are not. Suppose also that any debt-to-assets ratio over 0.45 is almost certain to result in costly financial distress while those less than or equal to 0.45 imply no chance of distress. The latter knife-edge structure is, of course, unrealistic. But let’s stick with the assumption in order to illustrate an economically important feature of corporate capital structure decisions that is omitted from the traditional tradeoff arguments about optimal capital structure. What is the optimal capital structure for our hypothetical firm? According to the traditional tradeoff logic, the optimal leverage ratio is 0.45. The firm gets maximum tax benefits by levering up to 0.45, and it runs no risk of incurring financial distress costs. So, by the usual tradeoff logic, the optimal strategy is to fully exhaust debt capacity (take leverage up 0.45) to capture the tax benefits of debt. That logic is fine in a simple static setting in which a firm is only concerned with balancing tax benefits and distress costs while holding investment policy fixed. But things change fundamentally when we look at the problem dynamically and recognize that debt policy is about more than finding the right mix of interest and dividend payouts. Importantly, firms issue debt because it is a low (transaction and asymmetric information) cost vehicle for raising funds for investment. It is no longer attractive for the firm to lever all the way up to 0.45. Why not? The reason is that the firm would like to have unused borrowing capacity that it can tap in the future if a really attractive investment opportunity arrives. The rational policy is to keep some “dry powder” – untapped debt capacity – available. The one exception would be if the firm currently had an outstanding investment opportunity and probable future investment opportunities that are much less attractive. In that case, it would be rational to exhaust debt capacity today instead of saving “dry powder” for future use. What should a firm with untapped debt capacity do when an attractive investment opportunity arrives and it doesn’t have sufficient resources to fund it? In most cases, the right response is to borrow to fund that investment and then use future earnings to pay down debt and restore the option to borrow to meet future funding needs. The firm’s ideal “target” leverage ratio is less than 0.45 once one takes into account the value of the option to borrow to meet future funding needs. 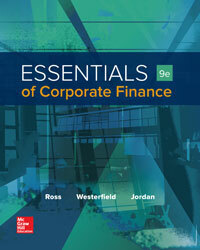 Traditional tradeoff theories view corporate capital structures as having only “permanent” debt and equity components. The dynamic theory that we have sketched here recognizes that capital structures also have a “transitory” debt component that involves the exercise of the option to borrow and then the restoration of that option by subsequently paying down debt. You can think of this view of capital structure as the corporate analog of the manner in which a rational individual will manage his or her credit card: Use the borrowing capacity to meet unanticipated funding needs and then repay the debt to free up debt capacity for future use. The logic here is based on “Capital Structure Dynamics and Transitory Debt” by Harry DeAngelo, Linda DeAngelo, and Toni Whited in the Journal of Financial Economics (2011, pp. 235-261). A recent advertisement for Microsoft's Surface tablet highlighting Excel shows how a spreadsheet can be incorrectly constructed. In this case, the marketing company either didn't know how to use Excel, or at least didn't know how to use Excel very well. Excel is a great tool for financial calculations. While the mistakes in this ad are humorous, other Excel mistakes could end up costing you and/or your company money, so take care when you construct spreadsheets. Twitter jumped about 93 percent from its IPO price shortly after the market opening, although the company's first-day return will likely end up somewhat lower than that based on the closing price. Of course, this IPO pop is nothing like the 1999 experience, with 25 IPOs up by more than 225 percent on the first day. Of course, we hope for Twitter investors that their long-term results are better than the performance of many of these companies. For example, an internet search for Value Software Corp., which experienced the biggest 1-day return of 697.50 percent, returned no results. And Foundry Networks, which had a first-day valuation of about $9 billion, was acquired in 2008 by Brocade Communications for $2.6 billion. Toyota's profit jumped by 70 percent last quarter, with about 73 percent of the increase due to the weakened yen. A number of Japanese companies, including Nissan, Sony, and Canon, have reported disappointing results recently. Toyota's performance was buoyed by the fact that the company still produces more than 50 percent of its cars in Japan while other Japanese companies have moved production offshore. The yen has lost about 12 percent this year, so Toyota's future currency gains are likely to be muted barring continued weakening in the yen. The Association of Financial Professionals recently released its 2013 AFP Estimating and Applying Cost of Capital Survey. The report is rather lengthy, but we would like to discuss some of the findings. Eighty-five percent of the companies surveyed used discounted cash flow analysis for capital budgeting projects. For those of you who are worried about projecting cash flows far into the future, 51 percent of the companies used an explicit 5-year cash flow projection and 26 percent used an explicit 10-year cash flow projection. After that estimation period, a terminal valuation is used to account for cash flows beyond that period. Additionally, 72 percent of companies used scenario analysis when evaluating a new project. When estimating the cost of equity, 85 percent of companies use the CAPM. The choice of the risk-free rate is varied, with 39 percent using the 10-year Treasury, which is not consistent with our choice. There is also a disparity in practice whether to apply the current, historical, or forward risk-free rate. The choice of beta is also widely varied, with companies choosing different sources, estimation periods, return frequency, adjustment of the estimated beta toward one, and delevering and relevering beta. As we discussed in the textbook, many argue that the market risk premium since 1926 is unsustainable going forward. The survey results show the variation in the market risk premium used. Seventeen percent of companies use a market risk premium of 3 percent or less, while 19 percent use a market risk premium of 6 percent or more. One thing we should mention about the market risk premium relates back to the choice of the Treasury used to proxy the risk-free rate. The choice of a longer term Treasury over a shorter term Treasury would result in a lower market risk premium, assuming an upward sloping yield curve. Because the choice of which Treasury maturity should proxy the risk-free rate is directly related to the market risk premium, interpreting the results of this question in isolation is problematic. Finally, for those students who feel that they are struggling with finance, rest assured that you are not alone. We would fail the 36 percent of the companies in this survey who use the current book value debt/equity ratio. As we mentioned numerous times, book values are not useful in most instances, but rather market values should be used. However, the 17 percent of companies that use the current book debt/current market equity ratio for the capital structure weights would pass our classes since the book value and market value of debt are generally close. The British government will become the first non-Muslim country to issue sukuk, a form of debt that complies with Islamic law, which prohibits the payment of interest. Instead, sukuk pays a share of the returns from an underlying asset such as property. The size of the issue, which is expected in 2014, will be about £200 million ($322 million). There are currently 49 sukuk listings on the London Stock exchange, valued at $34 billion. Overall, investments compliant with Islamic law are expected to grow to about £1.3 trillion ($2.08 trillion) in 2014. By way of contrast, the U.S Treasury bond market is about $11.3 trillion and U.S. corporate debt is about $9.2 trillion. The Economist recently published an article debunking the already well-debunked myth that U.S. Treasury bonds are risk-free (see Problem 22 in Chapter 10). While we expect that many people are not aware that Treasury bonds have inflation, or purchasing power risk, we hope that by now you do. It is well-known that there is no true risk-free asset, but Treasuries are used as a proxy for the risk-free rate. What is really disappointing is the time value of money skills displayed by the author. The article notes that the real return in Treasury bonds was a loss of about 2 percent per year, for a cumulative purchasing power loss of 91 percent for the period 1946-1981. And of course, this got us fact checking. Based on the returns reported by Ibbotson, an investor in long-term Treasury bonds would have earned a nominal return of 2.35 percent over this 35-year period, while inflation averaged 4.90 percent per year. This gives a real return of -2.43 percent per year, which results in a cumulative real loss of 57.76 percent. Pretty bad, but not even close to the 91 percent reported. We would also like to point out dangers in any article that chooses a specific period from a longer dataset. If the investor has stayed in the market for the period 1982-1991, the average real return on Treasuries was 12 percent per year for this period. So, over the entire 45-year period, the real return for Treasury bond investors was .78 percent per year. Fantex recently announced its first pro athlete IPO. The company will issue 1 million shares of tracking stock at $10 each, with the proceeds to be paid to Houston Texans running back Arian Foster. In return, Foster, or the "brand" as he is called in the prospectus, will give Fantex 20 percent of his future earnings. Right now, you likely believe that the stock price will depend on Foster's future earnings, and it will to a degree. But further reading unlocks a host of other risks. For example, the company may never pay dividends to stockholders, but instead reallocate the cash for company expenses. Or, the company can convert the Foster stock into shares of Fantex stock at the discretion of company management. If Fantex fails, investors in Foster stock are left with one percent (or less) of the bankrupt company. All in all, Arian Foster stock appears to be a very risky investment, which brings us to our main point: Many believe that SEC approval of a prospectus means that the SEC feels the security is a good investment. In reality, the SEC merely reads the propesctus to ensure that all required information and risks are disclosed in the prospectus. The SEC does not certify that the security is a good investment. It is up to the individual to determine if the investment is appropriate for their risk tolerance. The Jumpstart Our Business Startups (JOBS) Act has received press recently since Twitter filed its registration documents with the SEC under this Act. An important part of the JOBS Act, which will allow crowdfunding, is not in place yet, although the SEC is meeting today to propose crowdfunding rules. Since the JOBS Act is only a year and a half old, many are unclear of what the Act actually covers. CFO posted a JOBS Act tutorial that answers many questions about the Act. John Maynard Keynes identified three theories as to why firms hold cash: the speculative motive, the precautionary motive, and the transaction motive. In 1980, firms had about 12 percent of total assets in cash. By 2011, this number had jumped to 22 percent. There are several factors that have lead to this increase. For example, low inflation has lowered the opportunity cost of cash. Additionally, much of the cash horde is held overseas. Bringing the cash back to the U.S. would result in large tax liabilities. However, recent evidence suggests that the previous experience of managers may be the key factor. CEOs who have experienced financial difficulties are likely to hold more cash than CEOs who have not experienced financial difficulties, a nod to the Keynes' precautionary motive. We have had a number of students claim that they will never use anything they have learned in this class in the future. We hope you are not one of those students. If you are, we could tell you countless stories like a former student who is Director of Marketing at his company, but also responsible for capital budgeting decisions, but we won't do that. One thing we are sure you will use the knowledge you have gained is for retirement planning. A recent poll indicates that 82 percent of workers 50 and over say that it is at least somewhat likely that they will have to work in retirement. And while the recent market downturn affected some of these potential retirees, we would guess that most simply did not prepare early and often enough for retirement. To help you prepare for your retirement (and it is never as far away as you would like to think), we would like to direct you to Professor Joshua Rauh's free MOOC at Stanford University. The course is the Finance of Retirement and Pensions, and although you do not get a grade, it may help better prepare you for your own retirement planning. Notice, you will get the most out of the course if you understand the value of diversified portfolios, interest rates, inflation, perpetuities, and annuities, which we hope you already have learned. The Nobel Prize in Economic Sciences was awarded today to Eugene Fama, Robert Shiller and Lars Peter Hansen. By now you are aware of Eugene Fama, one of the earliest and most vocal proponents of stock market efficiency. Fama's research centered around testing for market efficiency and attacks on market efficiency. What is interesting about this year's Nobel Prize is that Robert Shiller is a proponent of behavioral finance, arguing that markets are often inefficient. He is known for predicting the housing bubble and has argued that while the stock market may exhibit random price fluctuations in the short term, it is predictable over three to five year periods. As is noted by Nobel Laureate Robert Solow, the award this year is a little like an award to both the Yankees and Red Sox. McKinsey Quarterly recently published an article on the results of its study of economic profit for 3,000 large companies. If you prefer, a narrated slideshow discussing the results is also available. As a quick review, economic profit is also known as Economic Value Added (EVA) and is similar to an NPV calculation for the company as a whole. The results of the study show the disparities between the top and bottom performers from middle-of-the-pack companies. Surprisingly, bottom performers tend to have higher revenues than middling performers, have the highest tangible-capital ratio, but the lowest asset turnover. They are likely to be in a capital intensive industry such as airlines, electric utilities, and railroads. Top performers tend to have high margins and a low tangible-capital ratio. Interestingly, top performers were likely to remain as such, in part due to more fresh capital. In other words, they stay on top because they get bigger and seem to invest in profitable projects. Of course, a company can improve its performance, but much of the improvement lies in the industry. In fact, companies that do improve (or experience a decline) in economic profit tend to be driven by industry performance. The results of the study indicate that as much as 54 percent of a company's economic profit is due to its industry. Interestingly though, top quintile companies rely the least on industry effects. If you export goods to another country, one potential problem with credit is a swift devaluation of that country's currency. For example, in 1994, the Mexican peso fell from 4 pesos per dollar to 7.2 pesos per dollar in one week. The devaluation can make it difficult, if not impossible, for the importing company to pay its bills. To cover the risk there is trade-credit insurance. In fact, the recent decline in the Indian rupee is expected to generate a 10 percent increase in trade-credit insurance for imports to that country. With trade-credit insurance, if an importer has difficulty paying the counterparty, the trade-credit insurer will step in and pay the exporter. At the same time, the trade-credit insurer will make an agreement with the importer to pay the debt in installments, often over a three to five year period. As we mentioned in the textbook, the timing of IPOs appear to follow a "hot market" phenomenon, meaning that that are a larger number of IPOs when the market is doing well. In the first nine months of 2013, there have been 63 IPOs, a 110 percent increase from same period last year. At the beginning of October, there were 116 IPOs in the pipeline that are expected to raise a total of $37 billion. During the third quarter, 92 percent of the IPOs were filed under the JOBS Act, which permits a confidential initial filing for emerging growth companies. The third quarter also continued IPO underpricing, with global IPO underpricing averaging 24.4 percent. What Is A Name Worth? For many companies, the brand name may be one of the most important assets. According to Interbrand, a leader in the valuation of brand names, the Apple brand is worth about $98 billion and Google's brand is worth about $93 billion. If you look at the methodology, you will see the financial analysis Interbrand uses for the valuation. The valuation method is economic profit, or economic value added (EVA), which was popularized by Stern-Stewart. Economic profit is the aftertax operating profit of the company minus a charge for the capital used. When discounting the projected aftertax operating profit, Interbrand references the industry WACC. You should note that the brand valuation is not just the name, but closer to the company value. Would you really buy the Apple name for $98 billion without the ability to sell iPhones, iPads, and iTunes? Probably not. One last question: Does the economic profit concept look familiar to you? We would hope so since it is basically an NPV analysis of the company as a whole, not just the NPV of an individual project. We like to think that the stock market is always efficient, but there are events that prove our belief wrong. Twitter's IPO will likely be hot, with huge investor demand. The company already announced that the stock would trade under the ticker TWTR, but it seems that many investors can't wait for the IPO. Today, the stock of Tweeter Home Entertainment Group (TWTRQ) exploded, rising by more than 1,500 percent before falling back to a gain of only about 670 percent. TWTRQ filed for Chapter 11 bankruptcy about 6 years ago, and although the stock is still listed on the OTC market, the company has very little upside. The explanation for the jump in price today is investor confusion about the ticker symbol. We hope that the twits trading TWTRQ didn't tweet to their friends about the great investment that they had just made. About three weeks ago, Twitter announced that it had filed for an IPO, although the filing was confidential at the time. Today, Twitter made its S-1 filing public, an indication that the company hopes to go public sooner rather than later. The disclosures reveal that the company's revenue for 2012 was $317 million, with a net loss of $79 million. There are 250 million active users on the service, with 100 million daily users. One million shares are expected to be sold in the IPO. With a valuation of $10 billion, the company will have a P/S ratio of about 31 and, of course, no reportable P/E. Everyone makes mistakes, even finance professionals. It was recently revealed that Goldman Sachs mispriced a Ford bond issue. Bond issuers usually price (set the coupon rate) by adding a risk premium to the YTM of a similar maturity Treasury bond. In this case, Goldman Sachs used a Treasury bond that was just issued the same week. This is called the "on-the-run" Treasury issue and will have a slightly different price, in part because it is the most actively traded Treasury near that maturity. As a result of using the on-the-run Treasury instead of the Treasury that was previously issued, it costs Ford $1.5 million in additional interest payments over the life of the bond. As a result, Goldman Sachs lowered its fee from the 35 basis points it charged on Ford's previous bond issue to 25 basis points, a savings in underwriting expenses of $1 million. Now that you know all about cash management, you are ready to pool the cash from the divisions of your company, even if they operate in different countries. One thing you must consider first is transfer pricing. Transfer pricing is the cost charged by one division of a company to another division of the company for goods or services. The transfer price is the price that would be charged by an outside, or arms length, entity. If the transfer is between divisions in the same country, the tax implications (other than state and/or local taxes) are minimal. However, if the divisions are in different countries, transfer pricing becomes important with regards to taxes. A recent article in Treasury & Risk highlights some potential pitfalls in cash pooling for divisions in different countries. Cash management transfer pricing presents problems because cash pooling generally results in a higher interest rate earned on the combined deposits than the rate that would be received on on individual deposits. Similarly, any borrowing is generally less expensive. Additionally, there is the fact that the parent company should receive compensation for the time, effort, and expenses put into pooling the cash. As you will read, a number of factors affect transfer pricing when pooling cash from divisions in different tax jurisdictions. Standard & Poor's recently analyzed 101 mergers and acquisitions worth more than $5 billion since 2000 and found that these mergers and acquisitions can hurt credit ratings. In fact, 53 of the 101 transactions resulted in a credit rating that dropped at least one notch. Twenty one of the transactions resulted in no credit change and 27 resulted in a higher credit rating. The risks cited by S&P in the downgrades include weaker pro forma credit measures, reduced free cash flows, and increased business risk for the combined firm. It appears that many acquirers are borrowing too much in paying for acquisitions, at least according to S&P. Notes Payable: Operating Or Financing Cash Flows? A common question posed to us is the treatment of notes payable. Are notes payable part of total debt, or is it something else? You should note that there is an unavoidable inconsistency in dealing with notes payable and cash flow from assets. The same thing occurs when calculate EFN. In both contexts, NWC is essentially treated as an asset, which means that notes payable have been netted out (treated as a contra-asset). On the other hand, interest paid shows up in cash flow to creditors, but not repayments of note principal (which show up in the change in NWC). Interestingly, a similar inconsistency shows up in the standard statement of cash flows, where interest paid is treated as an operating cost. Some argue that it would be more consistent to define net operating working capital (NOWC), which is just NWC with notes payable left out. In our view, this issue runs much deeper. First, notes payable are operating liabilities for many businesses. Any company, such as a car dealer, that uses bank borrowing to floor plan inventory is using notes as operating liabilities. In this case, the interest paid actually is an operating cost. Very commonly, companies with seasonal sales use revolvers (a form of notes payable) to crank up inventory. Same story. Making matters more complicated, accounts payable is the single most important form of business financing (not just operating financing) for small businesses. The distinction between accounts payable and notes payable is pretty artificial in these cases. Both are debts, just different creditors. However, long-term secured debt maturing in the current year is clearly not an operating flow. Large corporations are increasingly holding huge amounts of cash, far more than needed for operations. This excess cash is properly viewed as a short-term investment portfolio. If we are trying to be very rigorous in our definitions of operating assets and liabilities, then we have to somehow separate out the operating cash (this is why we subtract cash in calculating enterprise value, but that’s also wrong because some of the cash is needed for operations). So, in light of all this, we made the decision to follow common business practice and call NWC the difference between current assets and current liabilities. The cash flow to shareholders comes out correctly, EFN comes out correctly, and in capital budgeting, none of these issues exist. As you go out in the world and use what we have taught you, you may run into these issues. Hopefully, for your company, you should have more information available which will allow you to separate cash and notes payable into separate operating and financing cash flows. What do the speed of light and stock trading have to do with each other? Actually, quite a lot. On September 18th, the Federal Reserve made an announcement that it would not scale back its support of the economy, an unexpected announcement. This type of news should move the market as a whole, and indeed it did. Looking at the chart below, taken from Yahoo! Finance, what time do you think the announcement was made public? If you guessed 2 PM, you are correct. This chart shows that the announcement was a systematic event since the entire stock market moved, as well as the efficiency of the market in rapidly reflecting the new information. However, several large trades made in Chicago are now under investigation. As you can read in the article, the Federal Reserve went to great lengths to ensure that the information was released to the market at exactly 2PM. Even with the Fed's safeguards, over $600 million dollars worth of assets traded in Chicago, all within 3 milliseconds after 2PM. Unfortunately, because of the physics related to the sped of light, it would have taken 7 milliseconds for the news to reach Chicago. In this case, it appears that someone in Chicago received the information early. Rising Interest Rates Good For Ford? People generally believe that rising interest rates are bad for corporations. After all, an increase in interest rates results in higher borrowing costs. However, Ford recently stated that an increase in interest rates may actually benefit the company. The reason has to do with Ford's pension liabilities. In order to calculate the present value of future pension benefits, a company must discount the future cash flows. As you know by now, a higher interest rate results in a lower present value. Since the discount rate used to calculate the present value of pension liabilities is based on a market rate, rising interest rates will result in a lower present value for these liabilities. When examining how any factor will affect a corporation, it is important to examine all of the side effects, not just one particular effect. Of course, one effect not mentioned in the article is that higher interest rates may negatively affect consumers willingness to borrow, reducing auto sales in general. In the textbook, we show a chart of long-term interest rates. For a slightly longer view of interest rates, Louise Yamada shows interest rates back to 1790. A difference in the textbook figure and the figure provided by Yamada is that the interest rates in the textbook, taken from Jeremy Seigel's Stocks for the Long Run, is that Seigel uses government bonds while Yamada uses corporate bonds. What may also be of interest to you is that Yamada discusses interest rates in terms of a technical analyst. She notes that interest rates have peaks and bottoms, bases, and states that a reversal is in order. 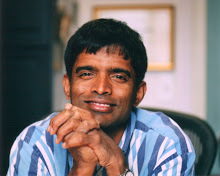 Back for his second appearance as our guest blogger is Dr. Aswath Damodaran from the Stern School at NYU. Dr. Damodaran is a noted expert on valuation and publishes his own blog, Musings on Markets. Here, he discusses the equity risk premium in emerging markets, a shortened version of his more detailed post. If you are interested in more on the U.S equity, check out Dr. Damodaran’s updated article on the U.S. equity risk premium. As you have figured out from the textbook, estimating the U.S equity risk premium (ERP) is not a simple task. Things get even more complicated when we are attempting to estimate the ERP in emerging markets. In a recent discussion, Dr. Damodaran examines the factors that affect the ERP in emerging markets. The first factor is the sovereign credit rating and credit default spreads. A country with a higher probability of default on sovereign debt is more risky, and therefore would have a higher ERP as financial instability in the government would extend to the private market as well. Next is the country risk score, which measures economic, political, and legal risks in the country. Finally, the volatility of the individual country’s equity market as measured by standard deviation impacts the ERP. Using this method, Guinea, Sudan, Somolia, and Zimbabwe share the highest ERP, at 22.25 percent. In contrast, the ERP for the U.S is 5.75 percent. If Lehman Brothers hadn't already filed for bankruptcy in 2008, the company's bankruptcy costs may have forced the company to file for bankruptcy anyway. Five years after the bankruptcy filing, the costs of the Lehman bankruptcy have risen to $2.2 billion, almost three times as large as the next most expensive bankruptcy, which was Enron at $793 million. Consulting firm Alvarez & Marshall has billed $657 million in the bankruptcy, and law firm Weil, Gotschal & Manges has billed $484 million. Given that there is still about $32 billion to distribute to creditors, the cost of Lehman's bankruptcy is still rising. Twitter tweeted that the company had filed its S-1 registration documents with the SEC, the first public step toward an IPO. Twitter's filing is somewhat unique in that it is confidential. Under the JOBS Act, an "emerging growth company" can file a confidential S-1 if revenues are less than $1 billion. The S-1 does not have to be released publicly until 21 days prior to the IPO. Private sales of Twitter stock lead to a valuation of about $10 billion on the company. According to a recent study by Equilar and The Wall Street Journal, executive pay seems to becoming more aligned with performance. Examining the period from 2008 to 2010, CEOs received bigger than expected rewards when the company's performance exceeded expectations, but when the company's performance did not meet expectations, CEOs lost much of their potential pay. One pay-for-performance deal we particularly liked was that given to Macy's CEO Terry Lundgren in 2009. Mr Lundgren was given 666,666 shares of restricted stock. In order to receive any shares, Macy's stock had to outperform five of ten large retailer's stock over the next three years. To receive all of the restricted stock, Macy's stock had to outperform at least seven of the ten retailers. In the end, Mr. Lundgren received $22.5 million, far more than the projected $2.4 million, as Macy's stock nearly quadrupled over the next three years and outperformed seven of the selected companies. We like that Mr. Lundgren's restricted stock was tied to the company outperforming and not just the result of a general market increase. Verizon Communications Inc., announced that it is planning to sell $45 to $49 billion worth of bonds as early as tomorrow. Verizon's offering is almost three times as large as Apple's $17 billion bond sale in April. The various bonds in the issue will carry maturities of three to 30 years, have have both fixed and floating rate bonds, and be issued in U.S. dollars, euros, British pounds, and possibly Japanese yen. The bond issue is intended to finance part of purchase of Vodafone's 45 percent stake in Verizon Wireless. As with IPOs, SEOs tend to be issued cyclically, usually when the stock market is doing well. Given this, it is not surprising that nearly $3 billion in SEOs have been announced recently. For example, Armstrong World Industries announce a $520 million SEO, Enbridge Energy Management announced a $240 million SEO, and Stratys Ltd. announced a $400 million SEO, or about 10 percent of the company's current market value. Given the relative strength of the stock market in the recent past, it would not be surprising to see more SEOs soon. So how did the stock market do today? Although a seemingly simple question, most people refer to a stock market index to answer that question. Today, the Dow Jones Industrial Average (DJIA), one of the oldest stock market indices in the U.S., announced that it would change its components. As of next Friday, Alcoa, Hewlett-Packard, and Bank of America will be dropped from the DJIA and Nike, Visa, and Goldman Sachs will be added to the index. The use of options to better align management and shareholder interests has come under fire since management can often receive huge sums when the options are sold. Recently, it appears that the use of stock options as a management bonus is decreasing while the use of restricted stock is increasing. Restricted stock are shares of stock that are transferable only when certain restrictions have been met. These restrictions are often EPS targets, stock price increases, or tenure at the company. Shareholders appear to be favoring restricted stock because it allows for employees to benefit from stock price increases, but limits the potential gains. When we discuss long-term financial planning, we hope that is was clear to you that the purpose of such planning was to permit our company to prepare for the future, but also to prepare for the unexpected. No financial plan is ever perfect, but it does give us a starting point. As this article discusses, the ability to evaluate how changes in the market and economy affect our company is crucial. And equally as important, contingency planning allows us to be better prepared to deal with major changes in the future.